Everyone loves the glitz and glam of The Oscars! With a little creativity, you can channel that vibe and throw your own star-worthy Oscar party. Here are a few ideas that will have all your guests reading emotional thank-you speeches at the end of the night. Every party needs snacks. Don’t just grab food at random from the chip and candy aisle. Get creative and choose snacks that fit the theme of the party and add to the fun. Try popcorn served in old-time Hollywood popcorn buckets, fizzy drinks served in fancy glasses, or Oscar-shaped cookies. If there’s one color that screams the Oscars, it’s gold. It represents the award statuettes and the true sense of the event; gold is for the best of the best. Source gold-rimmed champagne glasses, gold curtains, and gold napkins - whatever you choose, make it gold. This one’s a no-brainer. Make sure your guests are in their red-carpet best, be it a gown or tuxedo. In true Oscars fashion, name the best-dressed party guest (for larger parties, name the top 5). This honor deserves a prize like a gift certificate to a high-end fashion retailer, a digital subscription to a fashion magazine, fun fashion accessories and, of course, serious bragging rights. Your guests will love showing off their glam attire for pictures. 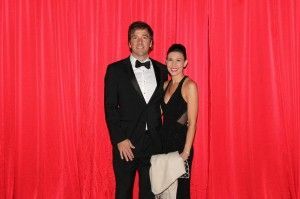 Set up a red carpet or a media-wall for photos. Assign a photographer or encourage guests to snap selfies. 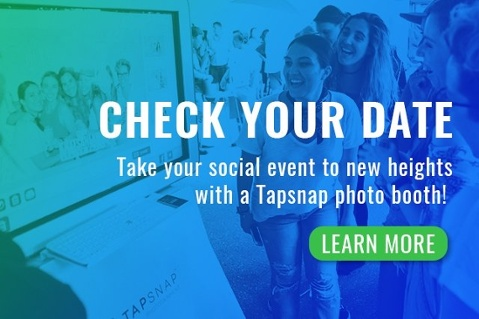 You can also book a TapSnap photo booth; digital props and a green screen background will place your guests on the red carpet, shoulder-to-shoulder with the stars. These photos will serve as awesome reminders of an epic evening that guests can keep for themselves or share on social media. Get your guests invested in the results of the night by printing out a ballot sheet and having them choose the nominees they think will win in each category. For the movie buff who gets the most picks right, award a prize like a gift certificate to your local movie theater, a Netflix membership, or a classic movie box set. The one challenge to an event that revolves around a TV broadcast is keeping the momentum going during long commercial breaks. Don’t let that ad time be down time; prepare commercial break entertainment beforehand. Movie-themed charades, official updates on who’s leading the prediction pool, or Academy Award trivia are the kinds of activities that could fill the lull between award presentations. We hope you'll take these Oscar party ideas and run with them! If you throw a fete that's fit for the stars, we'd love to hear about it! Share your party pics with us on Facebook or Twitter and we may feature your great ideas in a future news post.